Germany or Austria: which country is more expensive? This comparison of travel costs between Austria and Germany examines average prices across multiple categories. Please visit each country's individual budget page for more detailed information. Should you visit Germany or Austria? In a lot of ways, Germany and Austria are very similar, but they are actually very different countries. Although they both speak the same language, there's a surprising diversity of dialects in Austria. Germany is also significantly larger than Austria and much of it is relatively flat, with a few exceptions. 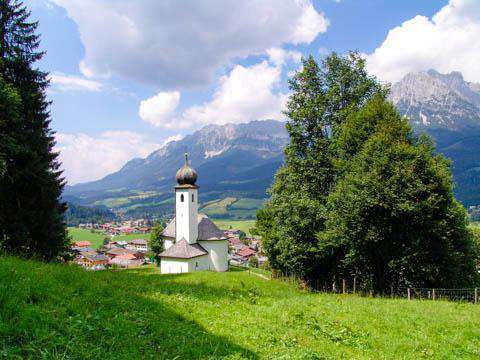 Austria is known for its =strikingly beautiful scenery, which is packed into its smaller area. The landscape is truly breathtaking and it's hard not to be impressed by the natural beauty of the country. Austria also has a more laid back atmosphere, and things seem to move at a more relaxed pace. Germany has more larger cities that are spread throughout the country, but despite its size, it's an efficient country to visit because the transportation is very reliable and things always seem to run smoothly. Prices are comparable between Austria and Germany, although Germany may be slightly more expensive. This is in part due to its large size. If you hope to experience the country in depth, you'll spend a decent amount of time and money on transportation. When is the best time to visit Germany and Austria? Germany a great country to visit year around. The winters can be cold, but the holiday season creates a special atmosphere that is wonderful to experience. Summers aren't as hot in Germany as they are in southern Europe, so even during the hottest summer months, the temperature isn't too extreme. Prices are a bit higher during the peak summer months though, and crowds are more intense. Spring and fall are great times to visit, as temperatures are usually pleasant and the prices are a bit more affordable. When you should visit Austria really depends on what you hope to do. If you're going to spend time in the mountainous areas, the peak seasons are the summer hiking months and the winter months for winter sports. If you're planning to stay in the cities, then the country is really a year around destination. The Christmas holidays are a popular and fun time to visit. Peak time is also during the summer months, but the spring and fall can be a beautiful and affordable time to visit as well. Why are Germany and Austria comparable in price? The prices really aren't very different between Austria and Germany. Some of the transportation price differences come from the larger size of Germany. Visitors to Germany usually spend more money on transportation between cities. Train and bus tickets are pricey, and the more time you spend traveling between locations, the more money you will spend. In Austria, if you plan to go skiing then you'll likely spend more money than you would in a typical Germany holiday. What are the most expensive and cheapest cities and regions in Germany and Austria? 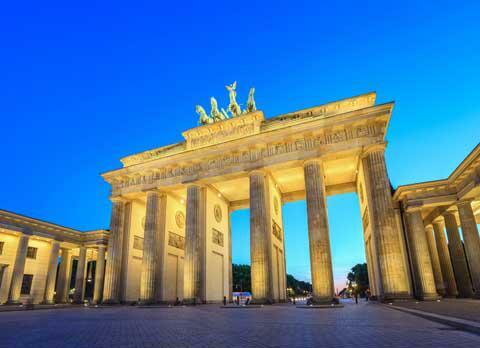 Cities in Germany, like Berlin, are among the more expensive places to visit in the country. Even so, some smaller towns have just a limited number of accommodation options, so it's difficult to find affordable places to stay, which can drive up prices in the countryside. How you can save money when visiting Germany and Austria? Think about what activities you want to do in Austria and Germany and look for deals. Are you interested in winter sports? Hiking? Shopping? Consider the season before you make reservations to make sure you get the best bang for your buck. Eat where the locals eat. Restaurants that are geared toward tourists will inevitably be more expensive. Try to find a local eatery and you're sure to save a good bit of money. Alternatively, find a street vendor that's seller bratwurst or a local dish. Then you can find a great place to sit and people watch while you enjoy your quick and cheap meal. Move slow and soak up the atmosphere. Much of these countries is about the natural beauty, so don't rush through locations just to check them off of a list. Truly take time to absorb where you are. Moving slower also means you'll spend less money on transportation. Stay at a locally owned hostel or hotel. Local accommodation options are often more affordable and more interesting places to stay.